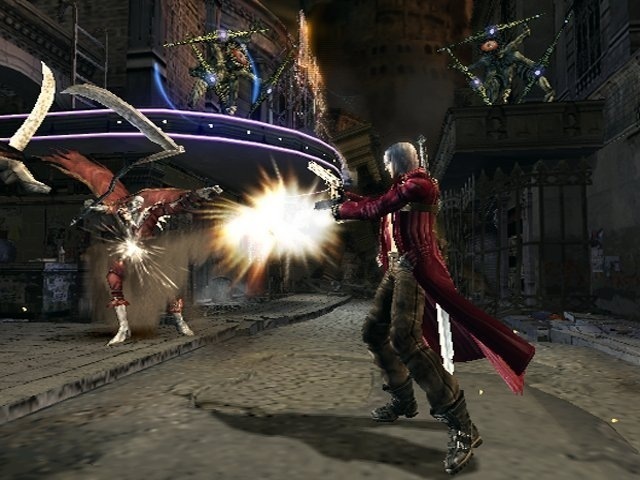 The original Devil May Cry was a runaway hit in the early days of the Playstation 2, sporting a unique blend of intense beat-em-up action and puzzle solving with a high level of challenge and some boss battles that were amazing in scale. After a rather poorly botched sequel in DMC2, Capcom put the series back on track with 3, which not only sported tighter controls and camera angles, but a much greater variety of gameplay as there were now four distinct gameplay styles to choose from, each with their own unique advantages. Swordmaster would grant the player additional moves with all melee weapons, for example, while Trickster made the player more agile and better able to avoid enemy attacks. There were also a much wider variety of weapons and firearms to choose from, including an electric guitar that could summon swarms of bats and lightning bolts, a pair of swords that summoned fire and wind, and my personal favorite, a flail wielded like a nunchuck. The Special Edition also added in Vergil as a playable character, lending even more variety to the gameplay, and alleviated some complaints about the original's difficulty by including mid-stage checkpoints and changing the difficulty levels to be more akin to the Japanese release's. While far from the strongest game in terms of storytelling, Devil May Cry 3 provided a strong blend of strategy and action, and while its style has been often imitated, there's nothing else quite like it out there. Another early Treasure title, and one which attracted some criticism for its relatively complicated controls and mechanics. Once the player is used to it, though, the game is an absolutely brilliant action experience. 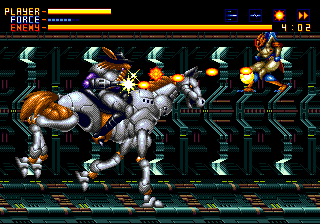 Essentially a series of enormous boss battles, the player must master dodging, utilizing six different weapon types, countering enemy shots to turn their bullets into more health, and destroying them on set time limits in order to persevere to the end, which proves to be a very long but extremely rewarding ordeal. The only real shame is that it was given such a limited release in most regions. The third game in Harebrained Schemes' rebooted Shadowrun video game franchise, and like its two predecessors, it's an amazing experience. 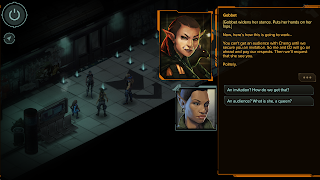 At its core the game features turn-based combat in the vein of Fallout or X-Com, but with an emphasis on all of Shadowrun's elements - character-controlled attack drones, summoning magic, spells, etc. that add a lot of depth and challenge to battles. But more than that, the game is a fantastic storytelling experience, starring a cast of complex characters and a scenario and setting that, while grim and violent, is also endlessly intriguing and fun to explore. One of the few games I've played in a long time that had me hooked on the merits of its fantastic writing. 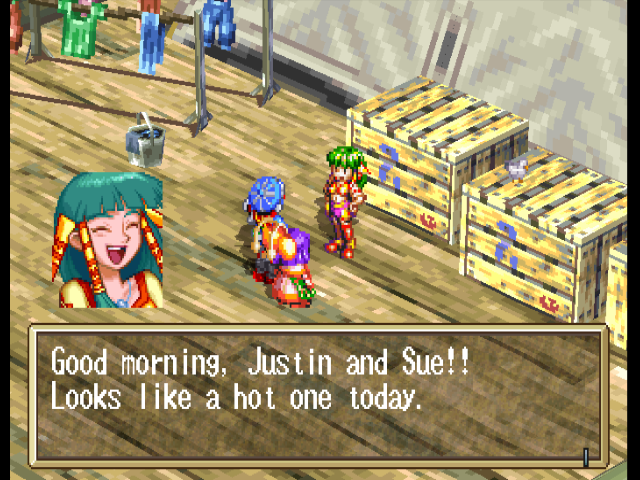 Game Arts became known to the west through their Lunar games (both on the Sega CD and their excellent Playstation remakes), but their other big RPG franchise never got nearly as much recognition. 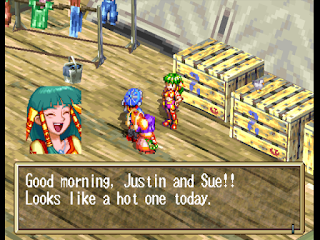 I'm honestly not sure why, either, as it's an exceptionally charming adventure with a great combat system, well-written characters and some amazingly-realized visuals and music; defying the norms of most Playstation/Saturn RPGs, the game utilized 3D environments and 2D sprites, rather than the other way around, which made dungeons much more dynamic and interesting. But above all else, it recognized that video games are meant to be fun adventures into the unknown, bringing with it all the charm and fun of exploring a strange new world. 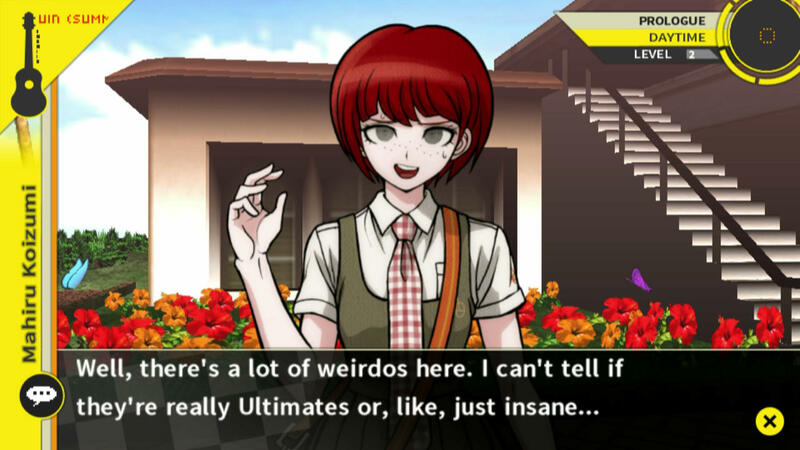 It may be a visual novel series, but thanks to some very strong writing and aesthetic design in spite of its limited budget, Danganronpa rapidly became one of my favorite game franchises in the short while after I played it. 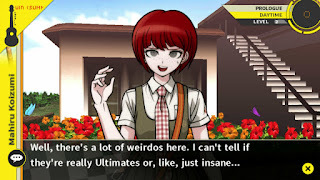 Starring a group of high school kids trapped in a twisted game of survival where they're forced to kill one another over the vague promise of escape, Danganronpa manages to be surreal, violent, and wildly funny all the same time. That all comes down to the brilliant writing, which has a jokey tone throughout yet still manages to get the player invested with its strongly-written characters and murder mystery elements. A lot of fun from start to finish, and the franchise that singlehandedly justifies the purchase of a PSVita (or Playstation TV) in my book. The last of the "classic" style Ultimas and undeniably the best of them in terms of gameplay, putting the player through a lengthy ordeal of difficult battles, challenging dungeon puzzles and the Ultima staple of lots of traveling, note-taking and problem-solving in order to gather all the needed items and complete the game. Even towns aren't safe, as the guards are now corrupt pawns of a world-spanning dictatorship and try to shake you down or harass you, and the three Shadowlords roam the world, corrupting peoples' minds and proving to be extremely dangerous foes who can easily wipe out your entire party unless you know exactly how to deal with them. 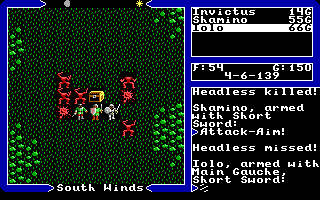 Ultima V is a challenge for sure, but its dark atmosphere, well-realized game environment and brilliant writing shine through, creating one of the greatest CRPGs of all time. 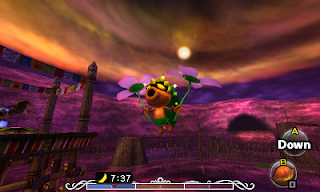 Majora's Mask was always one of the more unpopular 3D Zelda titles, with complaints commonly aimed at its unconventional style, unclear goals and relatively high difficulty level for the franchise. Honestly, though, I always thought it was a big improvement over Ocarina of Time, which to me always felt like an unnecessary prequel and a big step back gameplay-wise from the earlier titles. The 3DS title definitely addresses a few common complaints, however, with the player now able to adjust the clock to a desired time to complete certain events (instead of just in 6-hour increments), the ability to have actual saves instead of temporary quick-saves before events, and a handy notebook to keep track of the game's many quests. 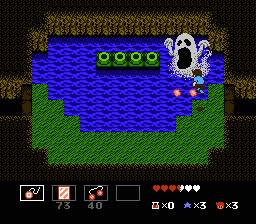 Not to mention reworked boss battles that add a bit more of Zelda's puzzle-solving element to the proceedings. A fine update of the game, and definitely my favorite of the 3D Zeldas for its bizarre atmosphere. A rare example of a game never getting a Japanese release despite being created by a Japanese development team. They were missing out, though, as Startropics is a high quality title. Essentially an Americanized Legend of Zelda, the game features a more modern environment replete with a lot of Zelda's puzzle-oriented dungeons, giant bosses and action-driven gameplay. Further matching the theme, your weapons included things like baseballs and yo-yos, and you were given a submarine to patrol the game's environments (navigated by a character who bears a strong resemblance to ROB), all in a quest to rescue your uncle from an alien overlord who seeks to conquer Earth and destroy the last of a race called the Argonians. It's a bit outlandish and fiendishly difficult at times (particularly the final dungeons), but the sheer charm of it makes Startropics into a memorable experience nevertheless. 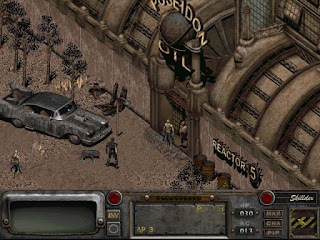 The original Fallout was a standout title for its time, introducing a heavy, well, role-playing element back into roleplaying games instead of just being an endless monster-squashing simulator; nearly every quest and scenario could be handled in a variety of different ways, and it was even possible to win without witnessing a single death or firing a single shot at an enemy. Fallout 2, while it doesn't have the same amount of polish, makes up for it in its sheer amount of content, expanding the world and questlines tenfold and tweaking its gameplay to add conveniences like a car (which cuts down travel time and adds extra storage) and making recruitable NPCs programmable to a degree and much more useful in a fight. All of this, compounded with a sharp wit and a prevalent sense of humor, make Fallout 2 an engrossing experience you can easily get caught playing for hours. 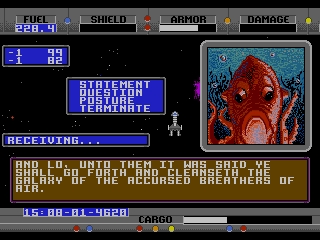 A groundbreaking game in the mid-80s and still a standout one today, Starflight was amazing for the sheer amount of depth it provided; the player was given free reign to explore the galaxy, recover resources to sell, find inhabitable planets, interact with alien races (both diplomatically and in war), and generally carve out their own niche in a vast universe. Of course, there was an underlying storyline as well, and a good one at that - the player's ultimate goal was to decipher clues found throughout their travels, unravel the mysteries of the galaxy, find out exactly why extinction-level events threaten every major star system they run across, and put a stop to it once and for all.